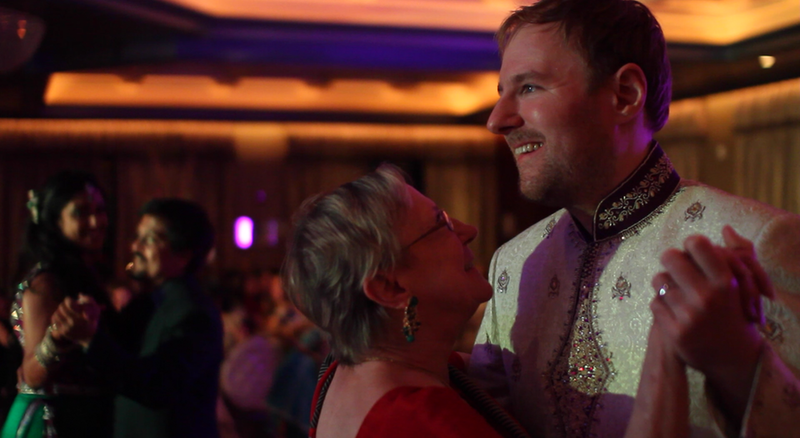 This was Trabbland's first traditional Indian wedding, and hopefully the first of many. This was a true celebration, full of rich color, tradition, and spirit. 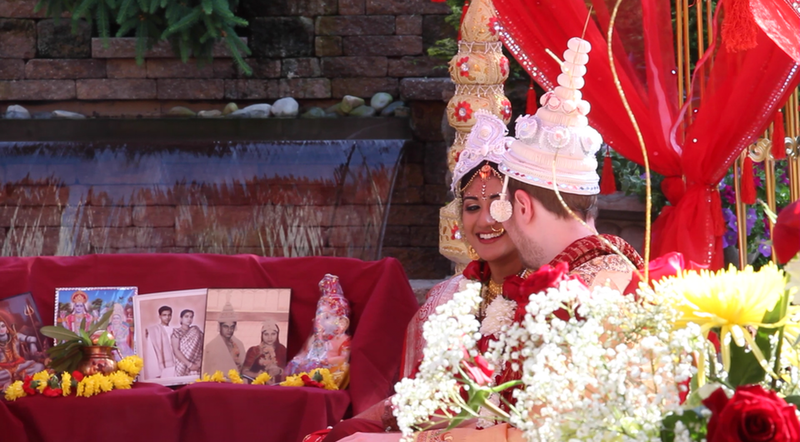 Snigdha and Josh transformed The Imperia in Somerset, New Jersey into a classic Bengali wedding ceremony. Hosted outdoors underneath a silk tent, it was an electric atmosphere. Between the colors, textures, incense, and decorations, it truly felt like Trabbland had left the United States for Southeast Asia. 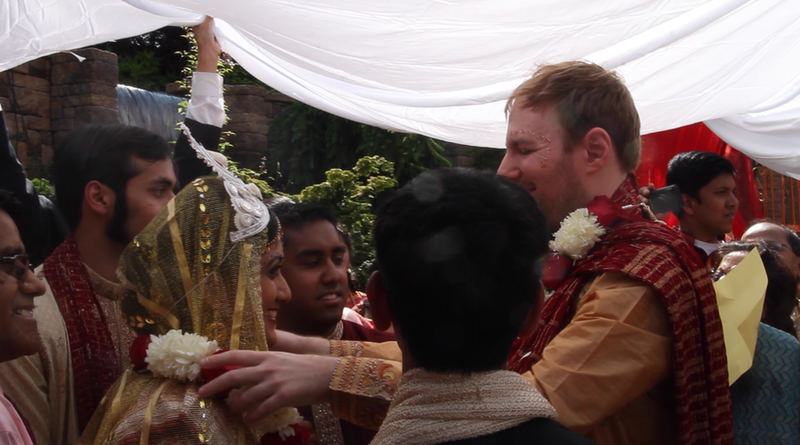 Snigdha held leaves over her eyes as she circled around Josh, hidden by a sheet, seven times before revealing each other and exchanging flower leis, a symbol of the first step of accepting each other. An elder blessed the new couple through readings and responses from the couple, as guests actively participated and the couple remained seated at their chadnatolla, or their wedding altar and canopy. The food was an elaborate buffet of traditional Indian fare: curry, naan, goat, spices and saffron. Snigdha's father presented a video that documented their lives together, beginning when they first met at a dance class, as they grew to become a married couple. The couple loves music and dancing, and, appropriately, this was the best first dance Trabbland has ever seen. 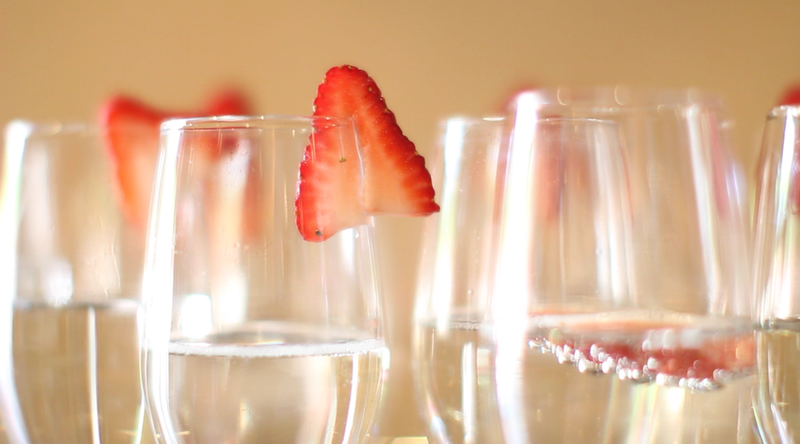 With help from the couple's wedding planner, Rebecca Carion, it was truly a memorable, elaborate affair.